IPMI's professional development courses, both online and onsite, provide convenient, affordable and focused education opportunities that align with your organization's needs and specific requirements. IPMI's professional development program is committed to providing educational opportunities supporting the advancement of the parking and mobility profession. 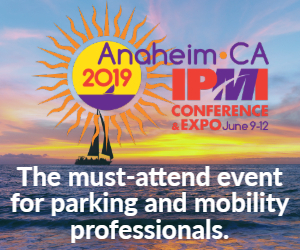 The 2019 IPMI Conference & Expo, June 9-12, in Anaheim, Calif., is the world’s largest educational and networking event for parking, transportation, and mobility professionals. Take a self-paced online course to enter, advance, and excel in the rapidly-evolving parking, transportation, and mobility profession. IPMI offers on-site trainings on a variety of topics, tailored for your needs and built just for parking, transportation, and mobility professionals. This in-depth training covers the theory and practice of building certification and the Parksmart program, which is managed by Green Business Certification Inc. (GBCI), the certification arm of the USGBC. Accredited Parking Organization (APO) Site Reviewers are solely trained by IPMI to evaluate organizations pursuing accreditation under the program. Professional development event for emerging leaders. Information about IPMI's 2019 Leadership Summit coming soon! IPMI's monthly webinar program provides parking, transportation, and mobility-specific education and training -- right at your desktop.